I would like to share some observations about men. Below are two observations for your consideration. First, have you noticed how some men have a healthy variety of adult males in their life? That is to say, some men have good male buddies. They periodically eat meals together. They may enjoy a boys-night-out occasionally. Those men talk, play and work together. As Christians, they may study their bibles together. Even if they don’t read scriptures together, they still strive to spur each other on to good works. These relationships have quiet boundaries. Christian men have a sense of right and wrong. Relationships define who you are. When a man is in a relationship with a Godly, Christian brother, they call each other to a higher level. There is a simple, unspoken truth among Christian men. That is, as Christian men we bridle our will, desires, and biological urges to act more Christ-like. If what you just read makes sense, then you will agree with this statement. Men need good men in their lives. Or, said another way, good men make regular men better. Here is my second and very different observation. If you went into a Men’s Club, you would see a room full of tables. Most tables would have just one man sitting by himself. He is there alone. He wants to be there alone. This is his private, alone, secret life. In most cases, male companionship is the farthest thing from his mine. Think about this image. It is a wonderfully descriptive metaphor for an unbalanced male life. It is the picture of a man sitting alone looking for the perfect female. He believes that a fantasy female will ultimately make him happy, satisfied and content. If you asked, you would quickly find out that that the men sitting alone at those tables have no solid male friendships. Those men have decided their greatest needs can be fulfilled with the ultimate sexual fantasy experience. The dilemma of the fantasy female solution is that she does not exist. Those men return week after week to pursue their fantasy. He sits alone. He has a thrill provided by a stranger. His body responds with excitement. The response is short lived. However, with each fantasy thrill, his spirit shrivels up. At the end of the evening he is still alone. He has grown, but his growth just means more sexual fantasy thoughts. He does not end the evening being built up. He is not strengthened in his manhood. He is, if anything, a weaker man. Fantasy is ultimately followed by restless discontent. Here are some conclusions I have reached. The first group of men are practicing true growth and intimacy. They seek to build relationships with other men. They know they need good men in their lives to help bridle and shape their manhood. The second group of men are misusing their sexuality. They are pursing a fantasy female experience when they should be growing healthy male relationships. Real men practice real intimacy, not false intimacy. Pursuing inappropriate sexual fantasy thoughts is pursing false intimacy. What is the difference between these two pictures? The first man is growing healthy relationships with other men. He probably goes home to his wife and enjoys friendship, conversation, and healthy sexuality. The second man is shriveling up in his manhood. He is often the man who is emotionally under-developed and under-involved with other men. He is stuck in adolescent thinking. He believes a sexual rush will make him complete as a man. I believe there are a bunch of Christian men who are living dangerously close to this second example. They may not go to Men’s clubs. However, they run plenty of sexual fantasies in their head all day long. They are under-involved with other good men. They push their sexuality beyond the intended purpose. They misuse their sexuality in ways God never intended. I believe many men were shaped in their youth with unhealthy sexual perceptions. They picked up the belief in their mind’s eye that they must always be looking for the perfect female for the perfect fantasy. Further, they believe having the perfect sexual experience will make them a whole, complete man. You many be asking, ‘Why is this discussion important?’ I would like to challenge men to review their thoughts. If you are wasting time with female fantasies it is time to stop. Please consider this thought. You do not need to practice any more fantasy thoughts. Rather, you need to invest in stronger Christian male relationships. Most men have a significant need for deep male friendships. The solution to being a better man is not found in private, sexual, fantasy thoughts. Rather, you need stronger male relationships – not more inappropriate sexual thoughts. My goal for this article was to challenge your thinking. I hope that was accomplished. If so, to God be the glory. For more help on this topic see our Resources for Men and join us for an Every Man’s Battle weekend. This entry was posted in Affairs & Infidelity, Sexual Integrity and tagged adult, adult males, christian men, manhood, Men, sense, sexual fantasy by lss-admin. Bookmark the permalink. 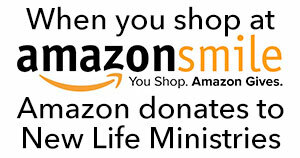 New Life Ministries is a 501(c)(3) corporation. Your contributions to support our mission are tax deductible. Call 800-639-5433 and make a donation today or ask us a question from our Contact page.